Several local inner-city church partners of Cru® faithfully hold annual Easter outreach events. There, children and their families have an opportunity to learn about the love God has for them and consider placing their faith and hope in Christ. 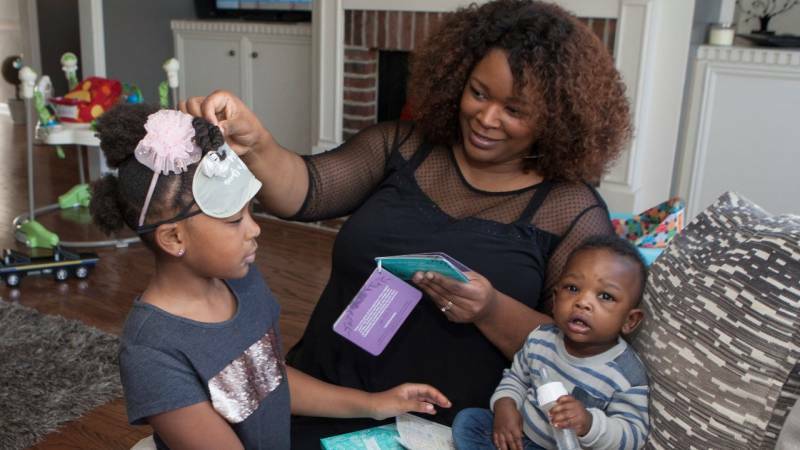 This event also connects them to a neighborhood church where they can grow in their faith. 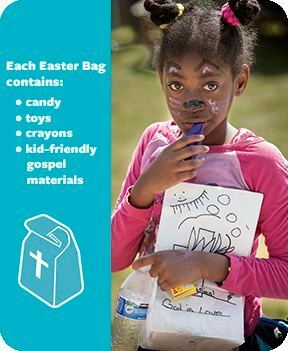 One evangelistic tool they use is Easter Bags provided by Cru through the generosity of friends like you! Last year, one partner church held Easter Outreach Parties on two separate days. The first day a boy, Alonso, came with his friend Felipe. They learned about Jesus through a clear presentation of the gospel story. Both boys accepted Jesus as their Savior that day! The next day, Alonso surprised the pastor and others at the church by bringing his friend Bryan to the second Easter Outreach Party. Alonso wasn’t content to merely accept Christ as his own Savior; instead, he immediately put his faith into practice by bringing friends to learn about God. Bryan placed his faith in Jesus as well, and now all three boys wear the Good News Bead Bracelets they received in their Easter Bags, and continue to share God’s love with others. Because of your generosity to Cru Inner City, we can provide Easter Bags to inner-city churches. Then our partners connect with these beloved children and their families to bring the Good News of Jesus’ Resurrection in their own lives! A gift of $82.50 today will supply Easter Bags for 10 children just like Alonso. $41.25 will bless 5. $8.25 will make a difference for one child. Whatever you can do will help! Thank you for helping us provide the necessary resources and training for our partner ministries as they reach out to families in their communities with the powerful message of the gospel.